Socrates Satisfied - finding wisdom. happiness and meaning using philosophy & psychology: What is Happiness? How Happy are You? 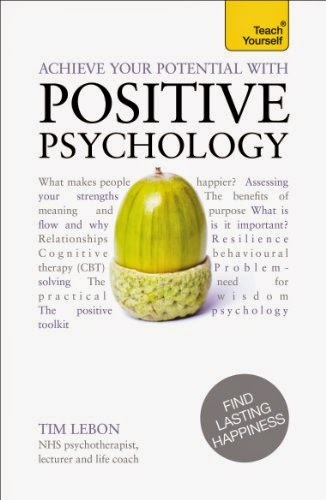 Articles by London therapist Tim LeBon, author of Wise Therapy and Achieve Your Potential with Positive Psychology. What is Happiness? How Happy are You? Happiness matters, it's good for everyone, and there are things you can do to enhance it. These were amongst the conclusions of the inspiring WGS and Global Happiness Dialogue I recently attended in Dubai, UAE. To do my bit for readers, I am writing articles all week on happiness. Today, we will look at 2 key questions - What is Happiness? and How Happy are You? The question What is Happiness is one of those questions that with a pint in your hand and some congenial company around you could easily take up a whole evening - or longer. Philosophers have long debated about the nature of happiness. However psychologists have taken a very pragmatic line, bypassing philosophical argument by inventing their own term, Subjective Well Being, which can mean whatever the hell they want it to mean. Subjective Well Being is defined as overall satisfaction with your life - how you feel about your life overall as well as the balance of positive over negative emotions in your life recently. So Subjective Well Being includes the presence of positive emotions, an absence of negative emotions and a feeling that life is going well. Plausible? Well, give me a pint and a few hours and I will I am sure be able to find several arguments suggesting it isn't perfect. It can't be, because different people mean different things by happiness. If we want to measure happiness though, we need to be pragmatic. I for one am happy to say that it's close enough. If you agree, then you can find out how happy you are very easily. It will take less than 5 minutes and give you two scores for Life Satisfaction an Balance of Positive over Negative Emotions. You can compare your score with the average scores of thousands of people who have previously taken the tests. Tomorrow I will share with you some of the most powerful ways to enhance your happiness - so measuring it today will give you a baseline. Guilt – a useful or useless emotion? Stoic Week and Stoicon Coming soon - sign up now! Are you a Stoic or an Epicurean? UKCP Registered Psychotherapist, BABCP accredited CBT Therapist & Life Coach in private practice in Central London. Work part-time in NHS as psychotherapist in IAPT. Author of Wise Therapy & Achieve Your Potential with Positive Psychology. 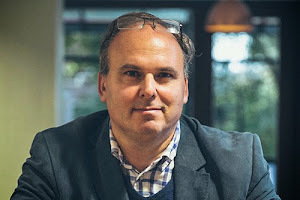 Ex Chair of SPP and founding editor of Practical Philosophy. Member of Stoicism Today Project Team.